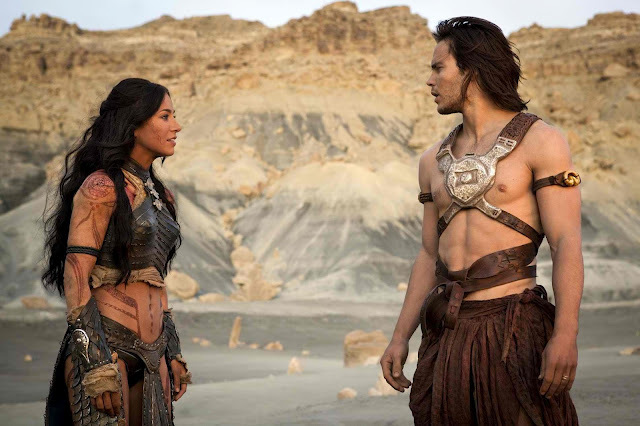 John Carter is shaping up to be the mega-flop movie of the year, if not of the decade. That's a huge shame, because while I think the movie is well short of perfect, it's still very, very good. I'm a huge fan of planetary/lost world romances in general and of the Barsoom stories in particular, so I walked into the theater with a positive bias. I had high hopes but low expectations. That wasn't because I disliked the trailers but because I have so much scar tissue from earlier incidents of Hollywood digging its cheese-stained fingernails into cherished novels. As expected, the film diverged from the original. That used to anger me, but it doesn't anymore. Films and books need to tell stories differently. I'm now willing to give filmmakers a lot of leeway, as long as they preserve the heart and feel of the characters and their story. In that, I think John Carter succeeds admirably--with one glaring, gut-wrenching, near fatal exception. Most of the changes were positive. Elements from later books were brought in so the world would make a bit more sense. The therns became an interesting menace. For a modern audience, the thern medallion was a better deus ex machina for transporting Carter to Barsoom than Burroughs's mummified witch. The filmmakers added some equality between the sexes; men and women seemed to be mixed about 50/50 in the Red Martian armies. Barsoom seemed even more alien from sexually partitioned Victorian America thanks to this change. The Green Martians were everything I could have wanted. They were violent and brutish but also intelligent and curious. The Tars Tarkas-Sola-Sarkoja triangle was handled nicely. I was ecstatic to see that the designers found ways to subtly differentiate the genders without pasting breasts on the females. Showing the warhoons dropping down and running on four limbs instead of two was a nice nod to a tiny reference in the novel. The ending was excellent. I won't spoil the details for anyone who hasn't seen it, but it was just right. Other changes were OK but hardly necessary. There's no reason, for example, why the city of Zodanga should walk around. The walking served no purpose, other than to confuse the audience for a while. The graphic designers did an admirable job. There was much of Michael Whelan in the costume and set designs, and Whelan's vision of Barsoom is my favorite. I'd have liked to see the Red Planet a bit more red, but I can live with brown. The Green Martians shrank from Burroughs's towering 15 feet to a more manageable 8-10 feet. Plenty of characters, Red and Green Martians alike, wore mantles of white ape fur. The white apes were far too big, of course, but that's to be expected in the era of CGI. They can be 30 feet tall for the same price as 10, so why wouldn't you go with 30? In some quarters, that passes for logic. What of the nearly unforgivable change? It was the addition of John Carter's tortured past and murdered family. Why oh why must Hollywood torment every male hero with the ghosts of slain wives and lovers? We've been swirling up to our eyeballs in this melodramatic by-the-numbers claptrap for years, and I'm sick of it. What's worse is that here, this cliche utterly misses the point of John Carter, especially when it's placed front and center during his battle against the warhoons. John Carter loves Dejah Thoris. That's the crux of his character. It defines John Carter. He's possessed by Dejah Thoris, and that love drives everything he does. 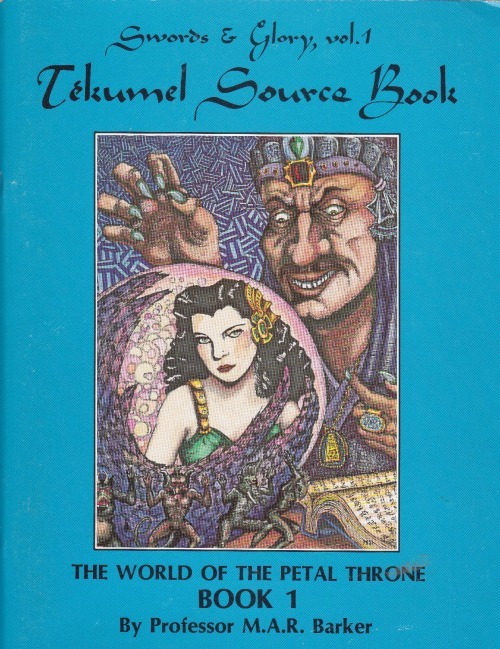 In the novel, Carter stays behind to fight a suicidal holding action against the warhoons so that Dejah Thoris might survive. He does this even though at that point in the story he has no reason to think that she felt, or could feel, anything more than gratitude toward him for helping her escape. And he prevails despite the hopeless odds because he must, to save Dejah. By making that fight about Carter's dead wife and child--going so far as to clumsily intercut shots of them between slashing swords and gnashing tusks--the film completely, utterly drops the point. I nearly wrote it off in disgust as a total loss during that scene. But I didn't. Ultimately, the good in the movie was so good that I swallowed that lump of thoat dung and carried on. And I'm glad I did. I'm sure that I'll go back for a second and maybe even a third viewing. I'll buy the DVD when it comes out, too, and I don't buy many DVDs. If I could edit out Carter's wife and child and pretend they never existed, I would. Sadly, I can't, and my only other option is to live with them. If John Carter can do it, I suppose I can, too. The movie was terrific as a sci fi movie. Fans of the genre deserve to watch it, and I can see the movie becoming a cult favorite. It is sad though that it likely won't make up for the massive budget devoted to producing it for it to earn a sequel. I liked it as well, much as it deviated from its source. Unlike LotR I found many of the deviations helpful rather than poisonous to the central tenets of the book. I'm sad that it won't do better in the box office, since from what I read they already had the first 25 pages of a treatment for Gods of Mars in the works. In total agreement. If I could have one thing changed in the movie it would be to drop the gloomy angst aspect of John Carter. He's on another planet, traveling with a georgous princess, having high adventure. Show some excitement there buckaroo! Tortured past has become meaningless due to overuse, and frankly it never will work on some archetypes (Indiana Jones, Superman, etc). Superman was apparently originally based on John Carter, in that he got his powers due to coming from a planet with higher gravity (this was when he 'leaped tall buildings with a single bound' rather than flying). Great review. I mostly agree with your points (see my review at www.wealoneonearth.blogspot.com/2012/03/affective-component-john-carter-movie), particularly Carter's dead family, which was just a needlessly melodramatic distraction. The route that I would have gone with was making Carter a man who hated being told what to do, even if it was a good idea, and then overcoming that character flaw to become the supreme Jeddak of Mars, but then again, I barely remember the books. Your idea about being possessed by Dejah Thoris is probably better. Either way, they needed to do a stronger job on the characters and the love story. If they wanted Carter to have a tormented past, they had the whole Civil War to draw on. Not only would it have been more interesting, some Civil War PTSD would have been more topical (albeit no more necessary ...). I suspect that studio execs worried that modern viewers wouldn't understand or accept Carter's thoroughly Victorian, unquestioning devotion to a woman he barely knows in the original story. Even with that concern, the Dejah Thoris angle could have been given a contemporary treatment that would have been both more appropriate and more effective than the caricature it got. I absolutely agree. I've talked to lots of people who didn't get it from the trailers and so waited for the critics who talked them out of giving it a chance. RAWR!!! I went to see it last Sunday and really, really loved the movie. It was beautiful, entertaining and had a GREAT end plot twist. This one bought me for a movie second time! And also, it was so dark sun-inspiring! I really hope for sequel! Nice to see a positive review of this movie as I also really enjoyed it. I think it will end up as a cult favorite and do very well in the long term despite the critics panning it. I doubt we'll see a sequel but in a few years there might be a TV spinoff, either a mini-series or a dedicated show. Look at the success of Stargate. The movie got panned but the show's been on TV forever. That's what I see happening with John Carter.